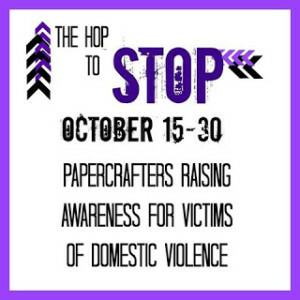 I’m joining fellow paper crafters on the Hop to Stop hosted by Becca Cruger to raise awareness of the issue of domestic violence. I’m a little late to the hop but there are still a couple of days left. I saw the hop information on my friend Vicki’s blog (http://stampsmiles.blogspot.com/) and wanted to join in. 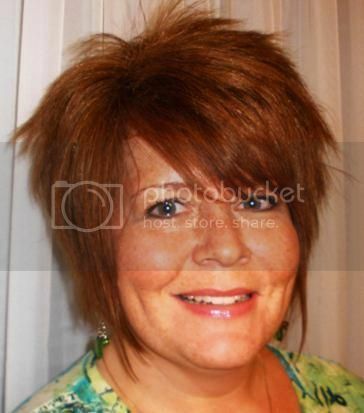 One of my BFF’s was a victim of domestic abuse years ago – her ex-husband even spent many years in prison because of his abuse. My card today features a digi image from Power Poppy – they have such great floral images. 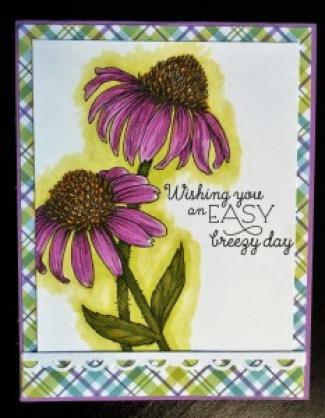 These cone flowers were printed onto Crafter’s Companion SNUSP (Spectrum Noir Ultra Smooth Premium white cardstock), my go-to CS for Copic coloring, which is what I did here. I paired the purple flowers with plaid paper and a Grape Jelly card base from My Favorite Things. 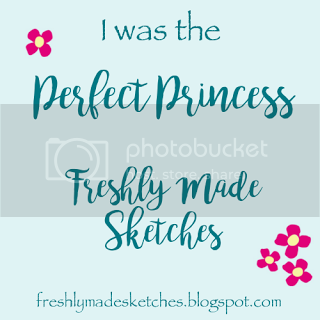 I am going to give this card to my friend “just because”.